Got this at Christmas. It’s looking pretty good. I finally got the Datsun 510 BRE that has become a popular livery for the Hot Wheels brand. But not just one but two! So they may not be Hot Wheels brand which now cost an enormous amount on ebay but these 1/43 are not only bigger but have more details. I actually saw these models years ago and wanted to get one or both but at that time I felt the price point was high for these TSM branded Datsuns. 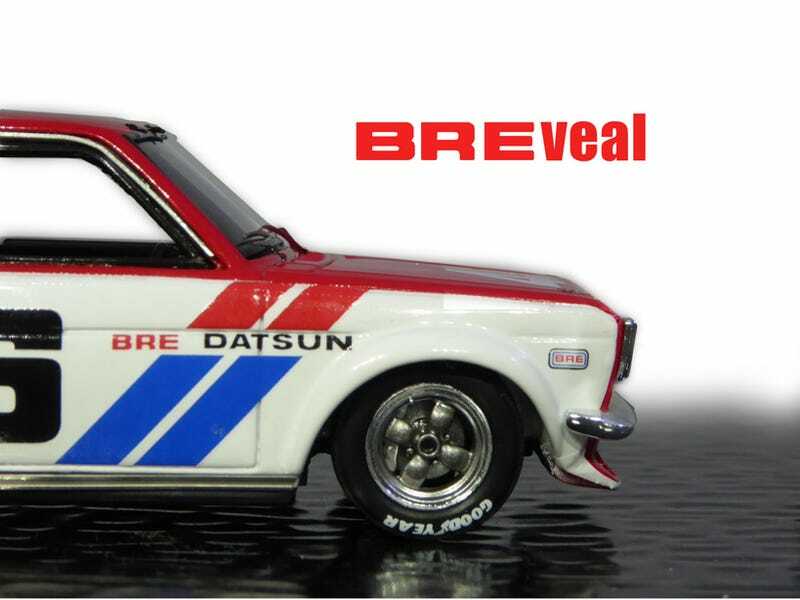 BRE (Brock Racing Team) was started by Pete Brock in December 1965 and eventually became the west coast Datsun factory race team and competed in the 1971-72 2.5 Trans-Am Series races with the Datsun 510s. This model was driven by John Morton in the SCCA 2.5 Trans-Am Challenge over established marques like BMW and Alfa Romeo and won (Championships in 1971-72). The wire on the hood/trunk pins including gas cap are not just painted on. How detail is that? The next model was driven by Bobby Allison as a team car to John Morton. Bobby also race the Datsun 510 in the 1972 Laguna Seca Trans-Am 2.5 Challenge and was in 3rd place. Did you know that the Datsun 510 was inspired by contemporary BMWs and considered by some to be a ‘poor man’s BMW’? For those who do plastic model kits, Revell had previously issued a 510 BRE kit as well. Here’s one more look at the winning pair.